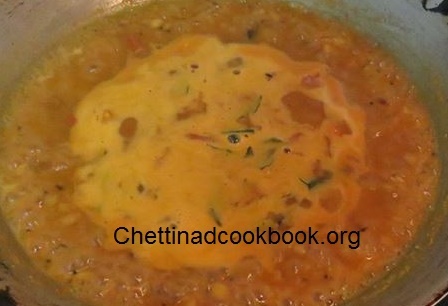 Sambar is a must in south Indian meals, it takes an important place in everyday meal. 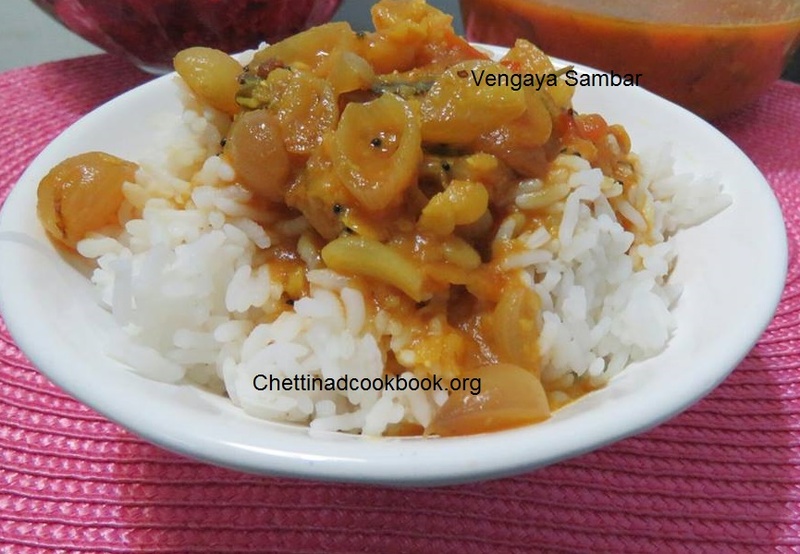 This specially flavoured vengaya sambar is mouthwatering and aromatic sambar in all. Same procedure to follow as we do for regular sambar. Wonderful combination with plain cooked rice, idly, upma and dosa varieties. Some of the impressive health benefits of shallots include their ability to lower cholesterol levels, reduces hair fall, works as cooling agent, prevent certain types of cancer, provide anti-fungal, antibacterial, and antiviral protection, lower blood pressure, help manage diabetes, soothe nerves, boost circulation, speed up digestion, and aid in weight loss efforts. Shallots are normally considered a variety of onions. They offer an interesting culinary flavor to foods and can be used either fresh or as a pickled vegetable product. 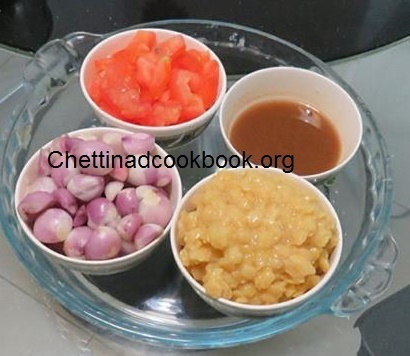 Cook toor dal, peel onion cut tomato and extract juice from tamarind, keep it ready to make sambar. Heat Tawa with above-mentioned oil and season it, add peeled shallots saute till it changes slightly brown this gives you fantastic aroma. Now add tomato, salt, asafoetida and turmeric powder, saute for a while until tomato leaves its skin. Add sambar masala powder, tamarind extract, cooked dal and 2 cups of water to it, allow it to boil for 3 to 4 minutes in medium flame. 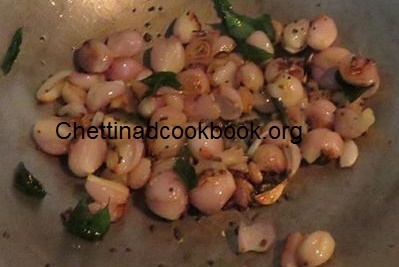 Sprinkle some coriander leaves on top, aromatic Onion sambar ie ready to serve.